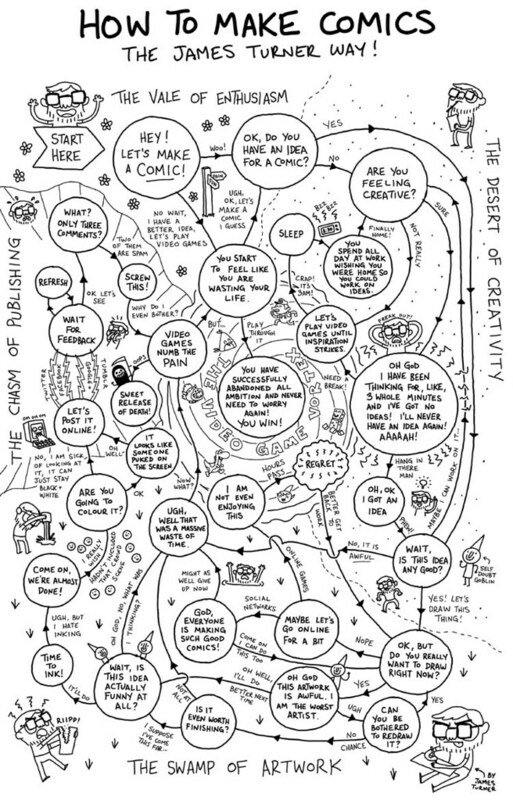 This entry was posted in Comics and tagged comics, creative process, flow chart, self defeating, video games on August 4, 2011 by eruditebaboon. 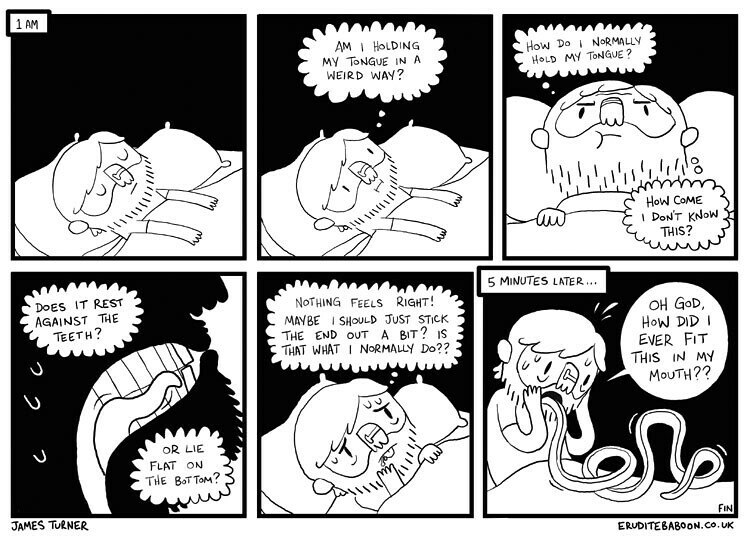 Whatever you do, try not to think about where your tongue is supposed to go. 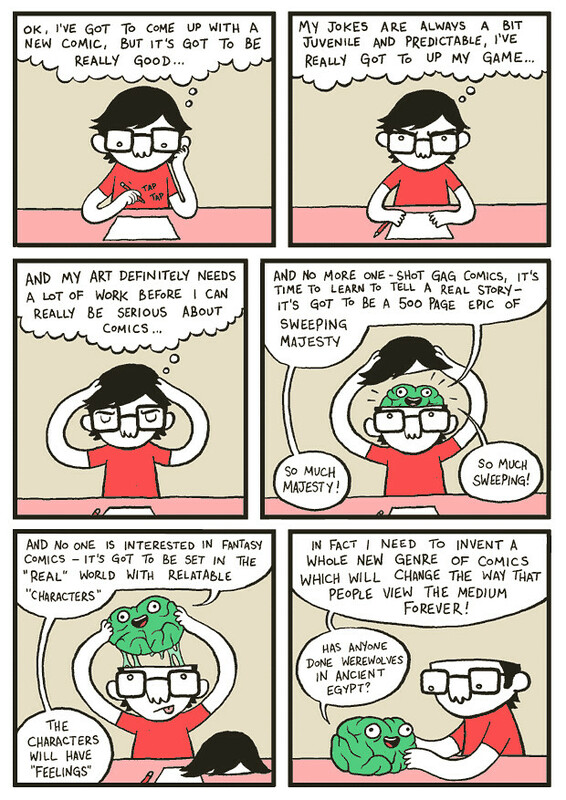 Since it seems like livejournal is slowly falling apart, I’m going to try posting comics on tumblr for a bit – you can find my tumblr page here: eruditebaboon.tumblr.com. 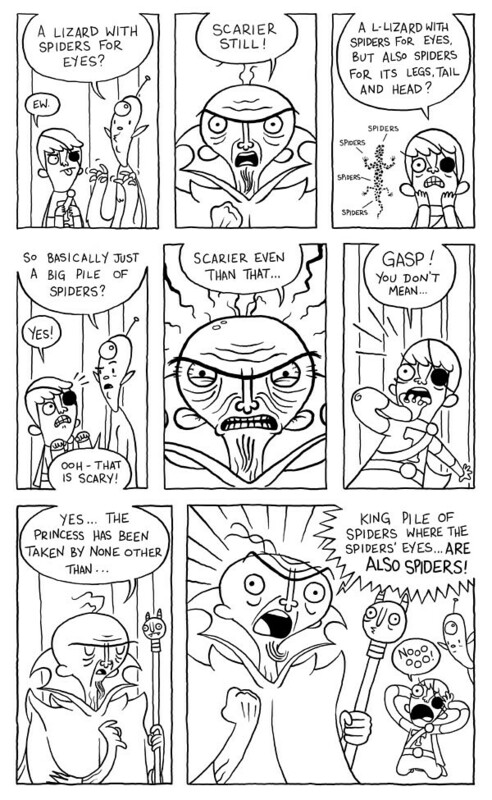 I’ll still be posting comics here for the time being though, but I might turn off anonymous comments in an attempt to stem the ever flowing tide of spam. I also have a book out! 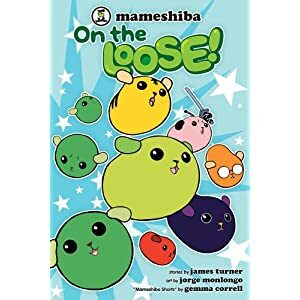 It is called Mameshiba on the Loose and it is about beans with dog faces (I only did the words on this one – the pictures are by the brilliant Jorge Monlogo) so if you like legumes that have the faces of animals this is the perfect book for you! Get it from amazon.co.uk with this link if you’d like me to get an extra commission from the sale. Thanks! 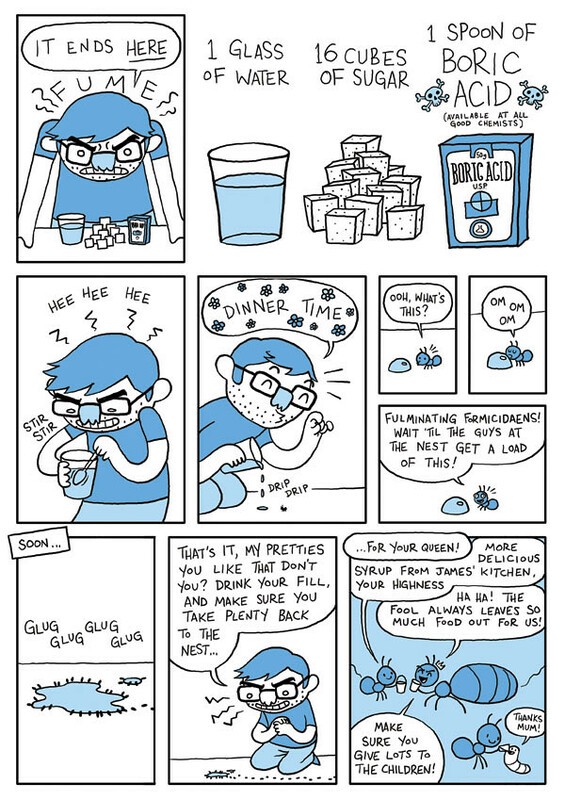 This entry was posted in Comics, News and tagged comic, mameshiba, tongues on July 7, 2011 by eruditebaboon. Yes, it’s really true: I did shave off my moustache. 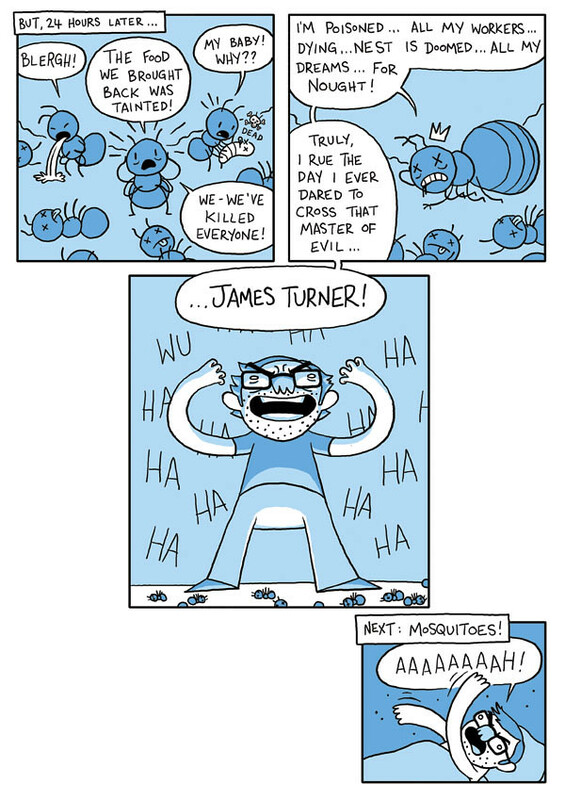 This entry was posted in Comics and tagged ants, comic, genocide on March 18, 2011 by eruditebaboon. 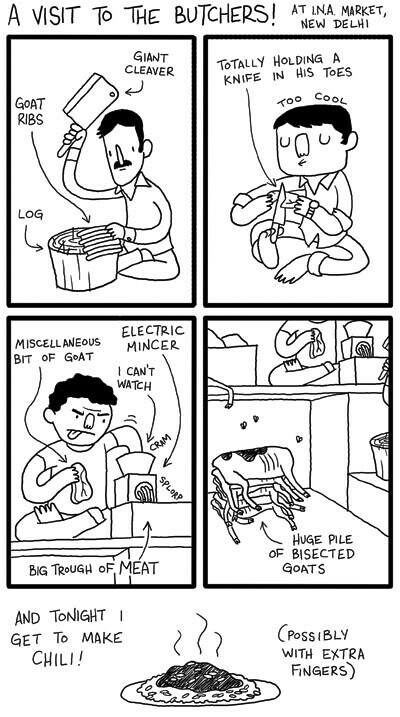 This entry was posted in Comics and tagged butchers, comic, delhi, goats, ina market, india on March 9, 2011 by eruditebaboon. Hey! 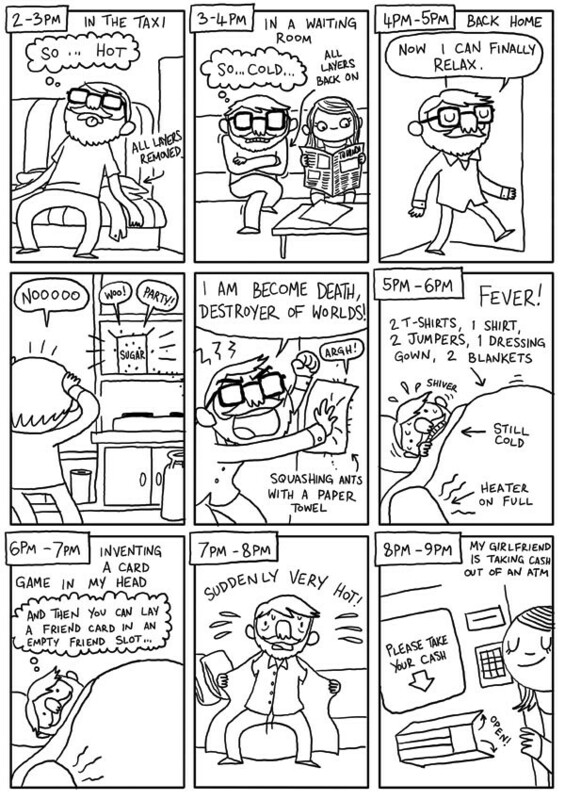 Here are my hourly comics from Hourly Comic Day! 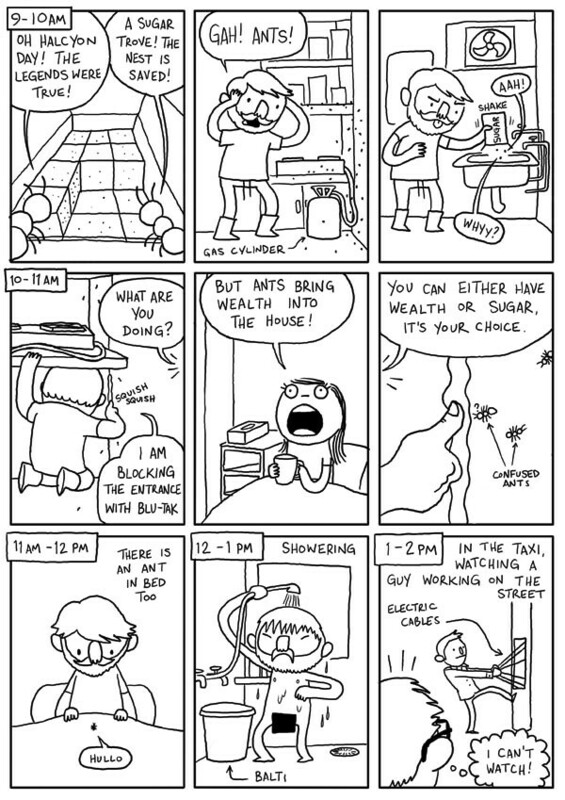 I cheated a bit because I just made notes during the day to draw the comic later (because I don’t have a scanner here so I can only draw directly onto my computer), and then I got sick for a week (you can see the start of it here!) 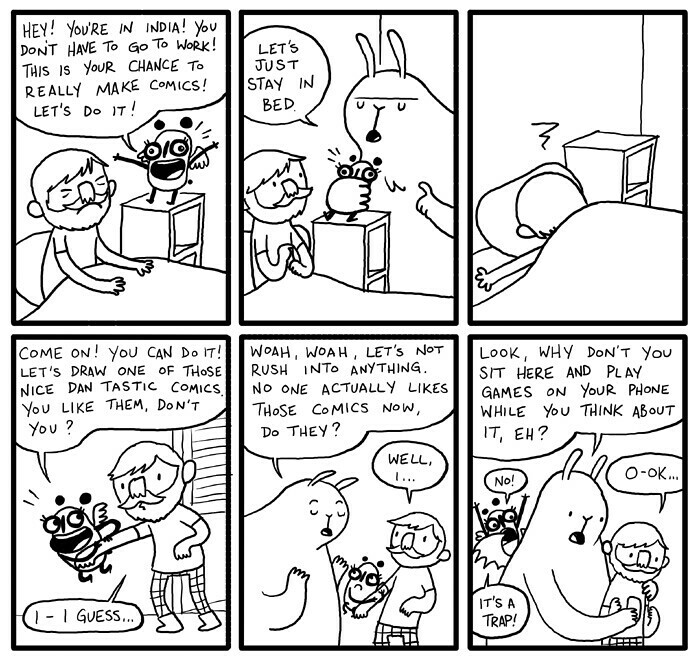 so I have only just drawn the comics today. I am a fraud! P.S check out that moustache! TOO COOL. 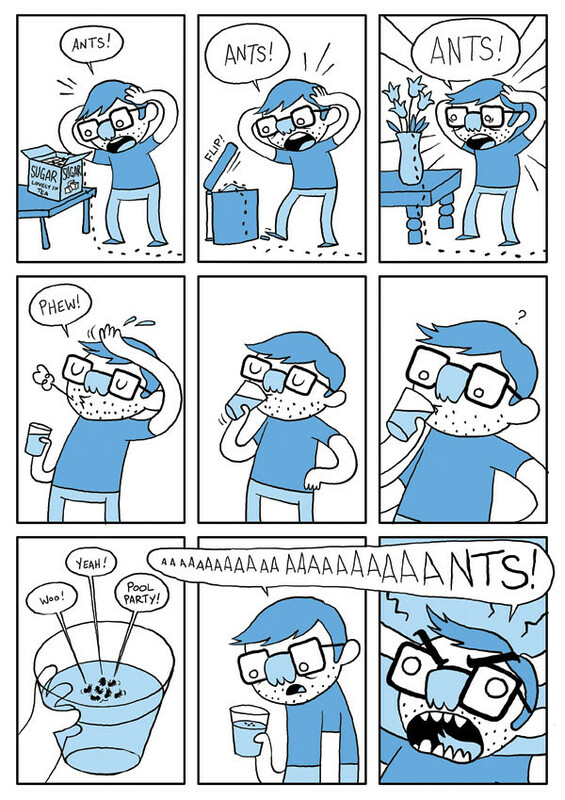 This entry was posted in Comics and tagged ants, comics, hourly comic day on February 10, 2011 by eruditebaboon. 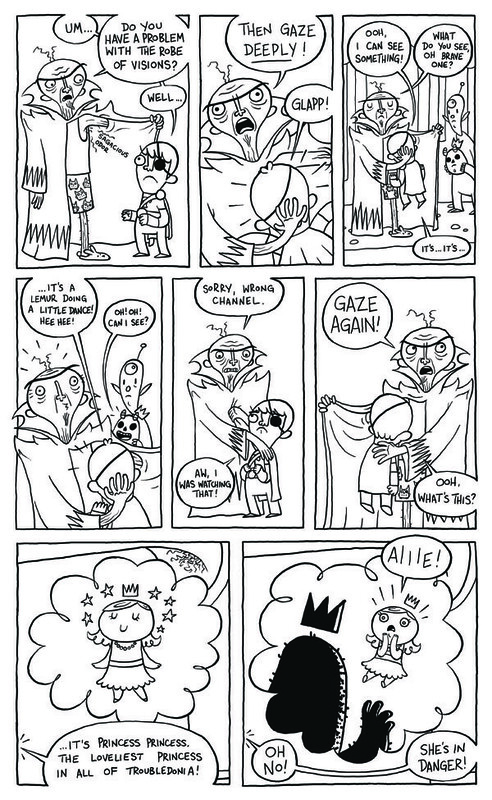 You can read the rest of the pages here. 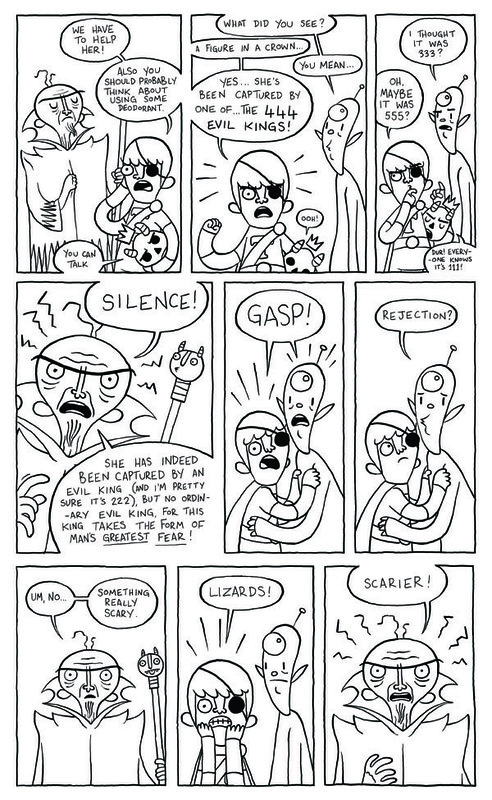 This entry was posted in Comics and tagged dan tastic, man's greatest fear, noooooo on February 9, 2011 by eruditebaboon. 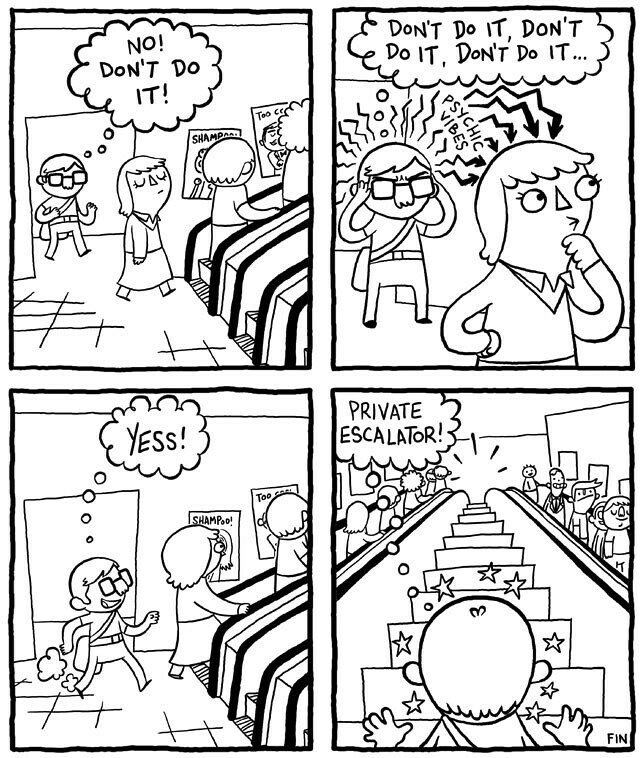 This entry was posted in Comics and tagged comics, escalator, psychic vibes on September 15, 2010 by eruditebaboon. 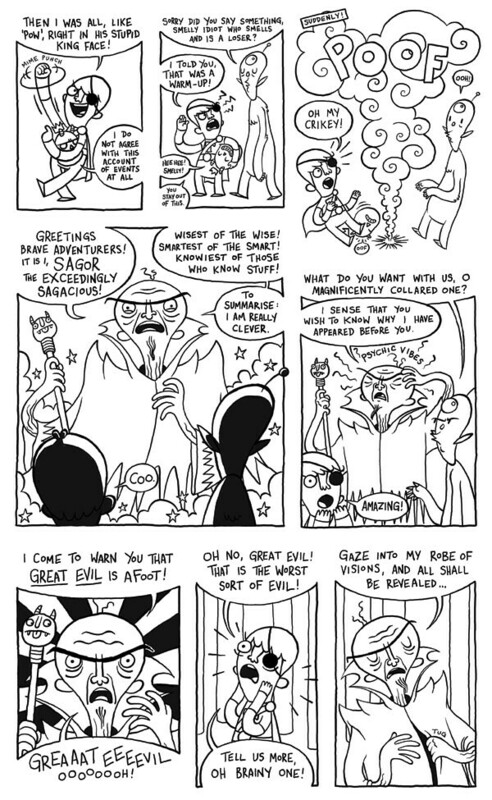 This entry was posted in Comics and tagged comics, my brain is an idiot, rolling pin, silencing my inner critic on September 4, 2010 by eruditebaboon.